The day started early for us in Baikonur. We got up at 1:00 am Baikonur time and had a short breakfast, followed by an alcohol rub down 😉 Then we were given a set of white long johns to wear under our flight uniforms to go to the launch site. We had a brief prayer and blessing session and as we were leaving our rooms, we signed our bedroom doors. This is a tradition that they say started with Yuri Gagarin. They also say that the cleaning lady who came to clean the room the next day started scrubbing down the signature until she was quickly stopped. So, my signature now rests next to Greg Olsen, the 3rd Private space explorer and Marcos Pontes, the first Brazilian Astronaut. I called my grandmother before I left since she could not be in Baikonur. She wished me good luck and safe return. We then proceeded to the bus to go to the Launch site. From the Cosmonaut Hotel door to the bus is a short walkway. On both sides of the walkway there were family and friends and journalists snapping pictures and taking video footage. In the blinding lights of the cameras, I was able to identify all my family members who came for the launch. They were up in the early hours of the morning to see me off on my great adventure. My Mom was crying and everyone else was trying hard not to show their tears. We got on the bus and headed to the launch site. During this whole time I was surprisingly calm. I thought that the morning of the launch, I would be a nervous wreck, but to my great surprise I had no fear or anxiety. We drove to the building where we would prepare for our launch and we went in the room to get suited. One by one, we entered the room, first Misha Tyurin, then Michael L.A., and then me. We did our leak check and were officially good to go. We were then escorted back to the bus as we waved to the crowd and reporters. The next tradition was the short stop of the bus for the boys to take a leak;-) This also apparently started with Gagarin and still goes on… Fortunately, I was excused from this exercise and was able to just mentally participate. We stopped at the foot of the rocket and got out and walked up the ladder that leads to a tiny elevator barely big enough for the 3 of us. We got in and were lifted to the top section to enter the capsule. We went through a tent and then into the habitation module. I was the first to enter. I was still very calm, excited… but calm. I don’t think my heart rate went over 100 (I’m usually in the 80’s). I had a permanent smile tattooed on my face. I was seated and strapped in. L.A. came down next and got situated in his tiny space and last was Misha Tyurin. we were still about 2 hours away from launch and there was a series of procedures the two of them had to go through. I was responsible for three simple actions — to turn the condensation valve and switch it between habitation module and descent module, to open and close the oxygen supply valve as needed (pretty important task! ;-)), and to hand the other crew members the flight data files that were situated next to me. Fortunately, not too complicated and I was able to perform my duties as needed. I followed their actions step by step through the flight data files and made some personal notes on the margins of my book, when I had a chance. Finally the moment arrived and the countdown started. LA, Misha and I put our hands together and said “Ready… here we go.” I thanked God for helping me realize my dream and for everything it has given me. I asked it to fill the heart of all its beings with its love and to bring peace to this beautiful creation we call Earth. 5… 4… 3… I’m really going…2…I love you Hamid…1… and a smooth lift off. How I wished everyone could experience this feeling in their heart, specially those who are at the head of the governments in the world. may be this experience would give them a new perspective and help bring peace to the world. Good luck and have a wonderfull time. I wish I was up there too. Hey there welcome to orbit!! I just watched the Shuttle Land today and it seems yall may have gotten a chance to view some of the flames as Atlantis streaked towards landing. Can you tell us how it looked from your perspective? I wish you luck and I hope the leaders of the world can come together for peace and full space exploration. Thanks for all the efforts you have done to make this happen! Good luck and have fun up there! How are you doing? I’ve read you entries with much interest. Still hoping I can go up there too one day. How’s sleeping? Must be pretty strange in microgravity. I heard our Dutch astronaut Andre Kuypers tell too that the lift-off in a Soyuz was smoother than he had expected. Keep sending us your experiences! Good description of the liftoff… was there much vibration? Noise? Not to pry or anything, but could you let us know what it’s like to dream in weightlessness? I imagine I’d be dreaming about falling, hope that’s not true for you! What an adventure! I was proud to tell my 5-year-old daughter about your ongoing story, and how I use to work at tti so there’s a mere 2 degrees of separation! She was abandoned on the side of a road in southern China when she was five days old, wrapped in an old towel and shoved in a cardboard box. You’d never guess her humble beginnings now…she’s active, inquisitive, intelligent and constantly pushing at the walls of her world to make it bigger and bigger! We always tell her that she can accomplish great things and nobody can hold her back because of her gender. You’re helping to prove us right in her eyes! Ciao Ciao! We are just under your eyes! The world is changing and you are helping it in the transformation! i am so happy because you are iranian and i so .i hope to see you in iran.now you are a lovely woman in our hearts.i cant say anything else only: please taking a picture from god to me because you are near the god……. Dear Anousheh — I’ve just read your hearwarming blog with great admiration, pleasure and interest. (Although you describe how your tears rolled down your cheeks – in microgravity – your description of your experience was most moving indeed.) I’ve just come back from the South Pole, planning to soon dive 14,400 feet below the ice to the “real” North Pole and then to follow your footsteps as it is… to space. You are a wonderful inspiration to us all. I do wish particularly that our political leaders do heed your call for a wiser perspective. my name is mehrdad younesi and i’m form the north of the iran,mazandaran. thanks for your messeges.i mean your reports from the first day till now.i wish you will have a good spase trip.the last wish is to see u,may be in iran. John Young’s old house is in my back yard here in Orlando. Everytime I see it, it helps me dream about one day doing what you’re doing. The perspective from up there must be amazing. Does the world seem big or small from the space station? Are you able to take photos or video and post them on this blog? Thanks for sharing and we are very hppy for you that you reach your dream. آرزوی سلامتی و موفقیت براتون دارم امیدوارم همیشه در کنار آقا حمید موفق و خوشبخت باشید. Patrick actually wrote what I was eager to write (and I’m sure many many others too!). Thank you very much for sharing this experience with us! Having a quick break from a stressfull day of work in Sao Paulo, your description of your first moments in Space has absolutly filled my heart with hope and my eyes with tears… I wish you the most wonderful time and will also be looking forward to hearing from you again! نوشته هات واقعآ خواندنی بود.امیدوارم سالم برگردی. I chanced to come across your blog notes through the GMU – Masonwire link ( I am an alumni too) and must say was riveted after reading them. I have always had this passion for space but unlike you, my dreams took me away from pursuing a ‘space flight’ route. So, as I read your notes, I empathize with you. It is really wonderful of you to have decided to share ‘your trip’ with us. I totally get it, when you say that being a very private person it was a serious step for you to decide to do that. I am the same way. This must be my first ever visit or comment on a blog site but I was compelled to write to you. You are an inspiration for some and for others like me, a substitute of self. Keep up all the good work you are doing and enjoy your journey! God bless you. We’re all watching with smiles on our faces too, Anousheh! We’re all proud, and a little envious of you too. Sean and Aidan ask me several times a day how you’re doing, and their school is following along too (I sent a patch I got at your launch party to school with them!). I think you have at least recruited a couple of new astronauts. I’ve seen your story on tv, read it in newspapers all around And i still can´t believe that´s true: I can read about your infintely lucky experience by your own words; and still Better. Talk to you! Your sky it´s quite different now than almost every person in the world. Dear Anousheh… Firstly just apologize me about my elemental English – I’m trying to make it better! Thank you very, very much. Keep writing!! Dear Ms Ansari, I wish you a Safe and successful trip, your words brought tears to my eyes. GOD be with you. Congratulations for the first blog entry from the space in the history. Good luck! All of our hearts beat for you! Your trip is a big step forward in future space exploration. Continued best wishes from a “neighbor” up US 75 in Allen. salam anoshe khano0o0m.khob hastin?az inke natonestam engilish benevisam SOoOoRY mikham.1 so0o0al dashtam to onja mitonin sedaue hamdigaro beshnavin?? ?rasti dasht yadam miraft vaghan khoshhalam ke salem be maghsad residin.1 so0o0al dige age mishe kholASE age mishe raqze moaffaghiateto age zahmat ni baram send koni. I imagine the views must be absolutely fantastic. I hope you have good time in orbit and if you want to take nice pictures from earth and post to your flickr. I just read your blog and find it very profound. Thanks for the visual enlightening from your writing. The Russians are very gracious hosts, and know what man yearns. Perhaps you can persuade NASA into opening a lottery for every other flight … say at $100 a ticket then some of the hard working taxpayers can have the journey of a lifetime like you. Thank you for your enjoyable writing! A world without frontiers …… indeed what a beautiful planet we are lucky to live on if only we all realised it. Sorry you coouldn’t get the internet connection out in space that you had hoped for but am very pleased to be reading your journals. I can’t imagine what it must have been like but I am so glad you are enthusiastic and not afraid to show it. Too many people become dull and serious which is a pity and so off-putting. hi dear. i’m iranian too and i am so happy & glad that you’re the first female that you can go to this trip!!! i like to see you in iran!!!! all the persons in iran love you! Dear Anousheh, I just wanted to tell you how delighted I am for you, and how inspired. I have been involved with the space community since I was 15, and have always been disappointed that more women aren’t involved in space. I am sure that your trip will show women that space isn’t just for guys, it is for everyone. Congratulations, and I hope every minute in space is wonderful! congradulation, I feel like I am really proud of you as a human, as a woman and as an Iranian. Here in Iran , you are a legend ! Wish you a safe and nice journy …. Don’t forget to search for the white Damavand , blue Caspian and green Persian gulf from the sky ! All I can say is wow!! Being able to see the Earth from space has always been a dream for me, as I’m sure it is for lots of people. And to read about your experience and how you felt, when you laid eyes upon it for the first time is truly amazing. I’ve always imagined that I would react the same way as you did if I would actually get the chance to see it with my own eyes. of your time up there. You’re truly and inspiration. Hope you will write again soon. Molta sort ( good luck ) from Catalonia. In the space the frontiers don’t exist. It is a place where we all should travel to open the mind. My tears dont let me to write you. you brougt us all iranian up into the endless space. I just want to ask you that look at Earth and our IRAN behalf of us from the space. Anoushe aziz salam . shoma baese eftekhare ma hastid va khoshhalm ke pigham man be faza miravad!be omide paydari solh va arameshi ke az parnjare ro be zamin mibind baryae shoma va khanevade geramitan va hame mardoome roye zamin.Shad bashid o paydar. We are so proud of you, good luck and have a lot of fun up there bring us peace and pure love from orbit. So glad you are back on-line. I’ve been watching everything carefully on the web and TV since Monday, and waiting to read your account of the TMA-9 launch. I stayed up all night here in the UK watching your preparations on NASA TV and the satellite channels. After reading your last blog on Sunday when, it seemed, you were feeling the pressure a little, I thought you looked really relaxed during the preparations. Reading your latest blog it’s clear that’s how it was. I can’t imagine how you managed to stay so calm, but I’m sure that helped you to take in every moment. ·	I’m sure that on the Soyuz downlink, I heard you shout ‘Poyekhali’ just after lift-off – was this something you planned, or a spontaneous reaction ? ·	You had to wait for two hours on the Soyuz – how easy was this period. Did it pass quickly or was it a long anxious wait ? ·	You have said you felt calm throughout the whole launch experience – I read that Greg Olsen’s pulse was only 60 at lift-off. Do you know how your’s was ? Hope you enjoy every moment of your time on ISS and look forward to further instalments over the next week. i just wanted to let you know that you are awesome. i am happy for you, and also very proud to see an iranian in space! i am glad you are realizing your dream and repping your people while you’re at it. your words about seeing the earth as it really IS definitely speak to me, and your achievement inspires me. take care of yourself up there. I’m Xavier and I’m from Bogotá, Colombia a country in South America. I’m 25 years old. Thank you very much by the pleasure of see you in the space. You represent the dignity, beauty and strength of the women of all the world and besides, to me you represents the truth that all the dreams can be reality. Please Anasheh, continues smiling and illuminating the universe with your presence. A great hug and be blessed. In your heart ride the hopes of us all. It must be amazing at the ISS! I hope oneday the ISS will be bigger and they will allow visitors more often to come and observe and experience space. خوشحالم که می توانم به این وسیله نظرم را به شما بگویم. به نظر من شما با این هزینه ی زیاد می توانستید کارهای بسیار بهتر، مهمتر و به یادماندنی تری انجام بدهید. کودکان و زنان زیادی در جهان به کمک نیاز دارند. پیگیری ماجراجویی های فضایی از ابتدا محل تردید و اعتراض بوده است و یک نوع بولهوسی و ولخرجی بی فایده تلقی می شده است. امیدوارم روزی طوری پولتان را خرج کنید که فارغ از هیجانات شوونیستی و تبلیغات تجاری بتوانیم به عنوان یک هم وطن و یک انسان نمونه به شما افتخار کنیم. به هر حال برای شما سلامتی آروز می کنم. What a wonderful description you wrote. I can’t believe you can see the Earth with your own eyes. You are truly fortunate to be able to lay eyes on the Earth from space. What a sensational feeling that must be. How must you feel that your name is now going down in history? First female space tourist, first Muslim woman, first Iranian? I teach 5th graders, and we were talking about you today in class. We share our last names – so they were asking if I knew you 🙂 I wish I did! Millions hope for something they can never have… you have joined an elite group of people who can see God’s creation from the outside. God bless you. We can only imagine the tremendous feelings you must have. Your expressive prose makes me teary-eyed, just like when I watch the shuttle launch. A lump in my throat, and a fast-beating heart. This happens when I think of all the effort it takes to send a person into space. Just imagine when we do this all the time! Wow! To think that you are experiencing all this and that we are receiving ‘open dialogue’ on your ‘views’ about earth, space travel, from a personal point of view and not as directed or expected from an organization space administration. Not that such feedback could be orchestrated but we can relate to your comments much moreso. You wanted your experience to be inspiring…your blog is most definitely that! Have a safe trip up there, and I hope that this experience helps you to help the rest of us earthlings to appreciate the earth more. Geetings, Congrats on your flight. PLease tell Mike LA that all of his NAVY VQ2 shipmates are watching you guys. I was stationed in SPAIN with him when he flew EP-3Es. Please look down on Rota Spain for us. Alan Saat Taghriban 4:50 hast ISS Az Rooye Shahre Ma yani Yazd Oboor Kard Va man Didam Mesle Yek sheye Noorani Abi rang ke ba sorate kheili ziad Aseman Ro peymaeid. Heck of a vacation, don’t you think? Way to go!! You really do carry our hopes and dreams for a more peaceful world with you. Being just a couple of years older than you, I too have dreamed of going into space since I was very young. To watch you do it, and read what you see and experince, makes me feel like I’m almost their myself. Thank you for showing all of us that dreams can come true. By the way, the fact that you were “giggling” on the way into space tells me that you still have alot of little girl tucked away inside of you. Don’t ever lose that, it’s the part of us that keeps us moving forward and trying to make things better for everyone. Wish apon a star for all of us, Anousheh, and come back safely to tell us what it was you wished for. Have fun and soak it all in. One question: Did they have to dim the lights on the ISS since your smile showed up?? Your lighting up the entire universe and warming the hearts of millions with your trip into space. Please update us when you can on how things are going…. Anousheh: We are warmed by your dream come true! We are also so very excited for you as you truly set examples for all to follow – such a dream, such an accomplishment and such an experience only few have. We are so proud that you have lived the dream, on earth and in space. We look forward to your return. God bless you and yours. Dear Anousheh, hi. As I had promised, we watched the place where all your wishes came true (ISS) this morning at 4:50(Iranian Standard time, 1:20 GMT) from our hometown: Shiraz. I remember the first time I saw you, being interviewed by Laura Greene right after the third successful flight of SpaceShipOne back in October of 2004. You spoke of how you looked forward to traveling in space one day. Here it is less than two years later and that wonderful day has arrived. I just wanted to convey my personal thanks to you and your family for all that you have done for the dream of personal space flight. You have brought the day when all of us will be able to travel in your footsteps just a little bit closer both by your support of the X-Prize and by the inspiring journey that you are presently embarked upon. I hope that this is just the first of many trips into outer space for you and for the rest of us. I’m 25 years old Persian-Canadian, I must say that I am very proud of you and very happy that you have reached your dreams. I’m sure this sense can be very satisfactory. You must write about the experiences there… I pray for your safe return to your earth! from the sky say hi to our Iran from water to water from the Persian Gulf to the Caspian sea. This is fantastic, truly inspiring. Congratulations! I believe now you are the most successful Iranian in Iran’s modern history and I’m not exaggerating! I’m sure you know with this huge success comes responsibility. Iran and especially Iranian women are starving for somebody like you! I believe Iran’s future belongs to educated women and you can be the best role model/or even leader for them. You made it. I watched the launch on TV and read your message to the world. It was beautiful. They brought tears into my eyes. What I felt when I read your story and watched the launch on TV is undescribable. I could only imagin what you felt. Make sure you take lots of photos. Say hello to space crew on board. I wish you all the best and have an enjoyable holiday in the spoace and safe journey back to Earth. Have you ever noticed that you are not the first Iranian traveling up to the space? I am telling you millions of Iranians have already traveled or keep going to the outer space every single minute. But theirs is slightyly different with that of yours. You went up there by space shuttle and paid 20 million bucks or something but your fellow citizens get to the space not by spaceships but by opium, grass, heroin, etc. The price is much muh much lower as well. One more thing, you just made the very right decision to move to the US. If you had stayed in Iran, now you would have to beg for official consent from your husband, father in law, alot of more people to be able to get a passport to travel to Turkey, let alone the OUTER SPACE. Anyway, I wrote all these things to bring a little smile to your face if you ever get time to read your comments. But please please please do not forget your country. I personally feel proud that someone from my country did this. Through you, Iran captures the headlines all over the world again. سلام یه جهان به شما. کلی آسمون رو زیر ورو کردیم.درسته که موقش نبود ولی تلاشمون رو کردیم. Greetings from your Ft. Worth neighbors . Jessica and I still treasure the time we had with you and your family on The World during the Space Symposium. I’ve sent the link to your blog to many of our friends and family, as well as the travel industry trade press – you are a true inspiration and we’re proud to know the world’s first woman private space explorer. I’m grateful to Peter for his passion and for being the inspiration that he is to us all. Your message to him was moving. I am so so proud of you. یه پسر 16 ساله هستم. از همین تهران.یه جورایی فکر کنم شبیه تو باشم.از بچگی نگاه به آسمون میکردم خیلی به نجوم علاقه داشتم هر کسی هم از من میپرسید میخوای بزرگ بشی چی کاره میخوای بشی ؟ بهش میگفتم میخوام فضانورد بشم. بعد تقریبا همشون بهم میخندیدن که یه جورایی تمسخر آمیز که ایران فضانورد نداره. ولی الان به این نتیجه رسیدم منم میتونم. میخوام مثل تو باشم میخوام منم وبلاگمو از فضا آپدین کنم. تو اولین زن فضانورد ایرانی هستی من میخوام اولین مرد فضانورد باشم.با تمام وجودم میخوام و به این آرزوم میخوام برسم. I think your life would make a great book, or even a movie. Your an inspiration to so many, you can see that reading your blog. Thank you so much for your contributions, which has been on so many levels. Starting from being an inspiration for everyone in the world to being an ambassador for peace. Maybe this can be a cure for ignorance and prejudices in the world. As I was reading some of the comments here, I came across one that addressed you as “Irandokht” (Daughter of Iran). I thought it was quite profound. I can’t wait to see where you’ll go from here. We’ll be watching with pride and great anticipation. I really can’t understand your emotions there! It would be a fantastic Job really.loky you. It was one of my best wishes to be there oneday! have a good trip and excelent days there! It is a great feeling to be a part of your BLOG and to read the expressions and experiences you have encountered, do bring tears to my eyes….for me it is just unbeleivable that You, Hamid and Asif are such modest unassumng individuals. You are now a legend and have created history and thank you personally for making a part of it, too…..you know what I mean. Thanks, once again and I look forward to reading your experiences and meeting with you very soon. I will be have a ISS sight opportunity from Istanbul,Turkey early tomorrow morning. I will be glad to see your orbit place from earth. What a thrill to talk with you yesterday via Amateur Radio. This is the first time I have been able to contact the ISS, and to hear your voice made it all the more special. Thank you for sharing your adventure with us all. I look forward to reading more in your blog. God bless you! we ‘all persians and all the world, are proud of you . when you left the earth i write a post in my weblog about you and i said that ” now anpusheh,see the whole earth without war , without borders and without anything bad. so i am glad that you saw it . i am a young phisician but i really love space programs. hope i hear more about you in future. i saw your grandmother and your dad today – he got back from baikonur yesterday – they are very happy for you – nanaz has not stopped calling me every time that there is any news from you! we are all spellbound by your accomplishment – i am glad you are enjoying earth on its “peaceful” mood – hopefully i will see you when you are back – je me repete: la terre, est-elle bleue comme une orange? Anousheh Ansari, die erste Weltraumtouristin, die derzeit die ISS besucht, berichtet auf Ihrem Blog von ihrem Weltraumausflug. “Peter Diamandis for President (of the country)” That’s my platform these days…You have become super popular in the Persian/nonPersian communities around the world because YOU ARE YOU. Thanks for supporting Mrs. Ansari through and through. This is an experience of EPIC PROPORTION, in line with the poetry of Shahnameh, Shakespeare, Dante, etc. etc. Anousheh come back safe. Earth needs you for years and years. I hope you realized that you are giving hope and happiness to a lot of people, not least to all the persian people around the world. I live in Sweden, Stockholm and all the persian people are very proud of you and to be from Iran. Its ironic that a woman from Iran would be the first woman to travel to the space, but you have showed the world that everything is possible. Enjoy your trip and I hope you have a wonderful time. Great excitement too in the amateur radio community, some of whom in the US have already spoken to you. We’ll be calling you direct on the equipment you’ve found! Well done! Wow. That must have be an awesome experience. Thanks for sharing it with us. Wishing you a wonderful flight and a safe return. تاریخ زرین افتخار ایران دگر بار ورق خورد،ولی به دست بانوئی دانشمندواندیشمند. امروز،شاهنامه دوباره سروده شد،امااززبان بانوئی ادیب و حماسه ساز. حماسه شجاعت ودلیری ایرانیان تکرار شد،ولی به همت بانوئی ازجان گذشته وشجاع. درودبرشماکه عزت وافتخاروسربلندی را به همه ایرانیان ارزانی داشتید. درود بر شما که چگونه آرزو کردن را بماآموختی و راه تلاش برای رسیدن به اهداف را هموار نمودی. کاش شما هم همین کارو میکردید! دیگه فکر میکردم غیر ممکنه یا حداقل من نمیتونم بنابراین تصمیم گرفتم فیزیک بخونم تا حداقل بتونم تو رشته نجوم ادامه تحصیل بدم. حالا که شما رو میبینم کمی امیدوار شدم. شاید یه روزی اسم منو بشنوید! Thank you very much from all my heart for sharing this experience with the rest of us! Recently I was in Baikonur and was allowed to feel the magic of that place myself. The former “tourists” sadly didn’t share their impressions although I think that especially they can fully experience the emotional side of spaceflight. Thank you again and have a safe ride! anooshe aziz . ba arezooye behtarin lahezat baraye to dar in safare tarikhi. omidvarim safar shoma darichei bashad be sooye movafaghiyathayee jadid baraye tamami ensanha dar sarasar jahan be khosoos javanane irani. I hope your space food tasted good.Please tell us how life is up there. Is it cold,dark,how do you sleep etc.. I look forward to read your story. 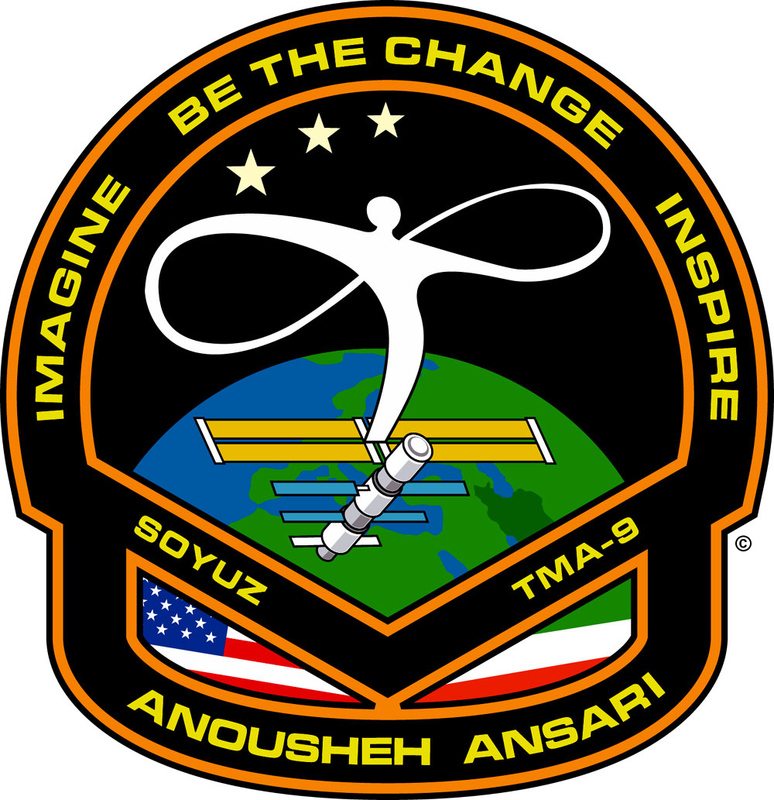 hi anousheh,i wish that you have a very nice time in space! !my mothers last name in ansari too!! !and every night she said me:lucky my sister!! !and i ask:your sister?? ?and she reply:yeh anousheh!! !so my mom knows you as her sister becouse of your and her last name…so i wanna say you:have a nice time aunt!!! az anousheh khanoom tashakor mikonam ke payam ferestadan va ma iroonia khoshhalim ke ishoon alan khoshhale va be arezooshoon residan…..
va az shoma peter aziz tashakor mikonam ke dar giabe ishoon be in weblog residegi mikonin…. Congratulations! and greetings from Kenya! you are a great inspiration to me and many around the world. Your words on the gracious view of the earth from above feels very true, I can imagine. Make sure you get a clip of Africa! Congratulations on your accomplishments. Thanks for serving as an influential force in commercialization of space, both with the XPrize and now as a pioneer in space tourism. I know 75 years from now when I’m old, I’ll still remember the mark you made. It’s a real joy and brings me to tears at the beauty and wonder of you enjoying something I hope to some day enjoy as well. Thanks once again. I don’t know if you’ll read my comments or no! But I will write to you whenever I can!your post was so nice….write more… we love to know what are you doing there! هر روز خبرهای شما را پیگیری میکنم، خوشحالم که سلامت هستید و کارها بر وفق مراد است، آرزو می کنم بیش از پیش موفق باشید و سلامت به زمین برگردید. You are an inspiration, a liberal soul in the sky that now surrounds us! Amazing that you communicate and share your thoughts with us while being where you are, for that I thank You. Also, thanks for not forgetting your origins and so much more. Your steps will not be forgotten. سلام.اميدوارم كه در كارتان موفق باشيد.برايتان آرزوي سربلندي و شادي ميكنم. and my children are at daycare center and in school. fulfilling her dream by going up to the stars. Salam Anousheh,, good job and good luck. سلام.انوشه خانم.پروازتان دراعماق بینهایت مبارک باد.مطمنم که زیبایی خیرکننده ایی در جلوی دیدگان شماست.پس برایمان بیشتر بنویسید اگر وقت داشتید .من از کنار ساحل زیبای خلیج فارس برایتان می نویسم.از لحظه ایی که از زمین جدا شدین( وما مستقیم وزنده از تلویزیون شبکه دو ایران شما رو میدیدم) و به سمت اوج پر کشیدین منتظر بودم تا چنین بنویسید. پرواز را همیشه دوست داشته ام.نوشته هایت را کامل خواندم.و اشک ریختم.ای کاش شرایطی فراهم می شد تا جملات پایانی نوشته تان به حقیقت می پیوست و ما شاهد صلح و دوستی مطلق در این کره خاکی بودیم.بی صبرانه منتظر فرود ایمن شما به زمین و دیدار در ایران عزیز هستیم.خدا نگهدا شما.محمدرضا برزگر–کنگان–بوشهر. ..
Greetings from the Philippines! I wish you the best on your efforts. You have my never-ending admiration. I’ll be telling people that a fellow WordPress user is a world-famous astronaut. movafaghiatet o behet tabrik migam , nemidoonam aya hameye neveshtehayio ke barat mizarim too faza mikhooni ya vaghti bargashti ?!! bishtarin hayejan e man az safare to ineke ehsas mikonam yeki az khanevadeye man ye kare bozorg karde ye movafaghiate kheili bozorg va vaghti ke neveshtehato mikhoonam dar sooratike hanooz oonjayi va gozaresh lahze be lahzehato minivisi vaseye ma kheili bozorge ! chon ma iraniha tahala ba hichkoom az fazanavardha ehsas rahati nadashtim ke bekhaim barash neveshte bezarim . to gami bardashti ke kheili-ha mesle man ke aslan donbale akhbare faza nistan , barnamehaye toro donbal konan , too internet , too akhbar , va man fekr mikonam TO BE HADAFET RESIDI ! chon kheili az javoonaye iranio be samte khodet motemarkez kardi va az hame mohemtar ,alaghemandeshoon kardi be in ELM . tabrik babate hameye movafaghiathat. man ghahreman snowboarde iranam vali tahala enghadr ehsase ghoorooro eftekhar nadashtam ke be to daram ! hameyeh ma dooset darim va omidvarim yeroozi be ZOODI dar iran in eftekharo jashn begirim . Look at the Earth as it is from the space. I think it looks beautiful from Your point of view, right now. Once You’re back, You’ve the great mission to tell us how really should be the Earth. Just like you saw it: colorful and peaceful. You made me feel alive,you could show me that my thaughts are true.that impossible is impossible.you are great. I hope a safe return and a successful mission for you.I can just imagin what you can see there.but I’m really with you in my dreams.maybe one day I can see my dear Earth in the black space that shine like heaven.maybe! Always be Strong,full of great dreems! I hope a safe return and a successful mission for you.I can just imagen what you can see there.but I’m really with you in my dreams.maybe one day I can see my dear Earth in the black space that shine like heaven.maybe! salam khanume ansari.kheily khoshhalam vaghti mibinam afrade ba eradei mesle shoma vojud darand ke mitavanand baraye ma olgu bashand.ba eshtiyaghe faravan peygire khabar haye marbut be safar shoma hastam.arezooye safari khub baraye shoma daram. Have you seen any ufo’s up there? You are beautiful and special… Do you want to marry me? salam anoosheye aziz. baraye man ham baese eftekhar ast ke to dar faza hasti. omidvaram tajrobeye khoobi barayat bashad. vaghti amadi be zabane farsi ham dar weblogat khaterati ra benvis ta ma ham bekhanim va harvaght amadi man khoshhal khaham shod ke az to mail dashte basham. Anousheh Ansari takes a leading role in shaping the future as an intelectual that people all over the world trust, share her vision and will follow in her footsteps. A star has risen. I’m not sure if you expected or wanted this fame, celebrity and recognition. Fortunately for the rest of the world, your observations and good deeds have raised the bar. The future looks very bright indeed! You are an ambassador for international relations, women, technology, space tourism and global peace second to none. THis is Mineo Wakita from Japan. Every child is born a leonardo Da Vinci but the parents don’t know it. Therefore they don’t treat them as a leonardo Da Vinci. I left school when I was 14 and have very little formal education. I count this as a blessing, because I got out before the system put intellect into me – killing my dreams. It is because of dreams that people are in Space. When someone tells me that it cannot be done, it fuels me and I make it happen. Good for you that you were able to make your dream into a reality. For the rest of the world, do not give up on your dreams. There is Paradise on Earth. We’ve just got to see it. Very well written!! You should become a author. Have pleasant stay and welcome back home to earth later on. Je vous félicite pour votre réussite et la grandeur de vos rêves. Je suis particulièrement fière qu’une femme iranienne et de plus est une fille de Mashhad ( ma ville de naissance aussi) réussit un tel exploit.Je remarque que vous avez un grand coeur et que l’amour y est libre.je suis sûr que de la haut, la beautée de notre mère,la terre fait raisonner en vous l’amour de notre père celeste.A travers vous je vis aussi cette aventure et espère un jour voir notre si belle planète. Bon séjour dans l’espace, et à travers l’énergie de l’amour. maa hodude 600 nafar az alaghemandane shoma va mamuriate fazaietan diruz dar tehran gerde ham jam shodim va be morure safare shoma pardakhtim. in barname ra majale nojum bargozar karde bud. maa baraye shoma arezuye salamati mikonim. or else what are the star’s for? I really enjoyed reading about your amazing trip! The story brought tears to my eyes as well. It’s wonderful just to imagine it though your words. Thank you for taking the time to write about it! Blessings to you all! We are proud of you and we wish you health and success during your life. First a big hello back from Earth! I can read you have a wonderful time up there! Thanks for sharing your wonderful moments with us. I just want to let you know you are a huge inspiration for us women. As an aerospace student i truely hope i will be able to change my space dream into the experience you’re having right now! Keep on doing your thing! “Live long and prosper,” Anousheh! You’ve joined the ranks of some strong, intelligent, beautiful women who have ventured into the Final Frontier. Thanks for being an inspiration for all those who would follow! سلام اميدوارم که حالتان خوب باشد . من بسيار خوشحالم که شما به عنوان اولين فضانورد ايرانی در فضا به سر میبريد و برای شما آرزوی موفقيت دارم . خوشحالم كه ميتونم چيزي براتون بنويسم و شما هم اونو بخونيد . الان همه ايراني ها ميدونن كه شما كجاييد و كي هستيد و همه به شما افتخار ميكنن . چه ايراني و چه غير ايراني به خاطر كار بزرگي كه انجام دادين . شجاعت و جسارت به اين عظمت رو از خودتون نشون دادين كه خصوصيت همه ايراني هاي افتخار آفرينه . چه توي ايران باشن و چه نباشن و شما هم سرآمد همه اونها هستين و با اين كارتون ثابت كردين كه افتخار در جنگ و جنگ افروزي و سياست هاي عجيب و غريب نيست بلكه اينه كه شجاعت و جسارت كاري رو داشته باشي و براش تلاش كني و بهش برسي . مطمئنم كه تا آخر زندگي اين جسارت و غرور سالم رو داشته باشي و براي هدفهات تلاش كني . و من رو هم از اون بالا دعا كن چون شايد به خدا نزديكتر باشي . از روي زمين و همينجا دارم تو رو نگاه ميكنم و منتظرم كه براي من و همه ايراني ها دعاهاي خوب خوب بكني . AZ ON BALA AZ TAHE DELET BARAYE HAME DOA KON VA SOLHO ARAMESH VA SALAMATI BARAYE HAME BOKON. (MIDONAM INKARO MIKONI). BARAT BARGASHTE MOAFAGHIYAT AMIZI AREZO MIKONAM. SHOMA BEHTARIN KARO KARDI VA GOSH BE HARFE MONTAGHEDIN NADE. BE OMIDE ROOZI KE TEDADE ZIYADI BETONAND BE RAHATI BE FAZA BERAN VA MOVAFAGH BASHI, BEDON KE GHALBHAYE ZIYADI BA TO HASTAN VA BARAT DOA VA AREZOYE BEHTARINO MIKONAND. I am happy that you have reached your dreams. Thank you for sharing this experience with us. Safe journy Back to the earth. Realy You Live In Your Dreams On Space. As an iranian woman I am very proud that the first female private space explorer is from my country. I wish I can feel the joy of reaching my dreams like you. Have a safe trip back to earth. I’m mojdeh I’m 15 years old and I have a wish like you .and I know I can touch it.but I want to have conection with you . I study in iran and two years next I will come “usa”.I love you too much .some of my families dont belive my wish but I have this wish from 10 years old.I pray for you and wait for you. انوشه جان! دمت گرم و سرت خوش! کارت درسته! امیدوارم که مدلی بشی برای همه دخترای ایران که بندهای جامعه مردسالار و اسلامزده رو از خودشون بازکنن. انوشه ی عزیزم سلام.امیدوارم که خوب و خوش باشید.خوش حالم که به آرزوتون رسیدین.وقتی که نجوم رو شروع کردم همه گفتن به کجا می خوای برسی و من امروز به همه گفتم به اونجایی که انوشه رسید.البته هنوز هم هیچکس باورش نمی شه ولی با این حال امیدوارم.آرزو میکنم که سفرت اونطور که در رویاهاتون تصورش رو داشتین باشه و با خوبی و خوشی به زمین برگردید. I must get my children to share in this very privileged and sacred adventure and blog. How awesome! I can hardly believe I am reading a blog from space. We have just lost a great environmentalist-Steve Irwin, The Croc Hunter-here and reading your space makes me even more aware of the great gift of creation. salam ,nemidunid cheghadr khohal vaghti khabare raftanetun be iss va porojehayee ke badesh mikhaid anjam bedido shenidam chon ghabl az inke in khabaro beshnavam arezoo dashtam sanate gardesh gary fazayee va (shahrake fazayee dar mah !!!) VAGHTY senam bala tar raft anjam bedam va pedaro mather ramo barye hafte be madare zamin befrestam vali naomid shode budam va fekr nemikardam behesh beresam ama vaghty shomaro didam va harfatuno shenidam besyar omid var shodam ke mitunam !!! baraye hamechi mamnoon omid varam behetun khehli khosh begzare ke midunam migzare !!!! Watching all ISS activities, together with your visit to the station, and reading your “live” experiences, thanks to the technology, has been an amazing experience for my family, especially for my 6 1/2 year daughter. She’s been following every space mission, and gets most interested, when she sees women participating in these missions as you are today. Congratulations for all your success in life as a business woman, and now that your dream to be in space has become true. You are a valuable example for the future generations. I hope they can understand your feelings and message, to keep peace in Earth. Keep on with your successful work. What you are doing is amazing. Youre not only a great woman…you are also the most beautiful woman in space…ever! Take care and have a safe trip back to us on earth! I just read your blog and was so delighted, that I was about to shred to tears when you were describing your feelings of observing the earth from above. I just want to let you know that as a patriotic Iranian, I’m proud of you and the way you grabbed your childhood dream! And also I would like to thank you for the way you evangelized and cajouled Iranians, specially females, around the globe. Tomorrow morning my friends and I will be watching your pass over Iran, in Tehran, where you took the idea of being such hich! So don’t forget to wave hand for us !!! I am very proud that the “First Female Private Space Explorer” is from my country. I hope one day I’ll feel the joy of reaching my dreams as you are feeling right now. Have a safe trip back to earth. It is really wonderful.It is like a dream. I wanna to reach to this dream too. انوشه جان سلام. من لادنم 24 ساله از ایران . ما همه به تو افتخار می کنیم . مامان من خیلی تو را دوست داره و بهت سلام می رسونه . امیدوارم که تمام مردم ایران برای رسین به آرزوهاشون مثل تو تلاش کنند تا ایرانی آباد و سربلندی و ملتی پر افتخار داشته باشیم. Thanks for the detailed post about leaving Earth. If you didn’t ever meet Robert Heinlein or Isaac Asimov, you should have. They would be proud of you! Your true story reads just like one of their fiction stories. Thank You Anousheh for going where we all want to go and taking us with you! Your eloquent descriptions lift my heart! I really enjoy reading your blog everyday now. You are indeed a great role model. You have definitely ispired me to become the best that I can in my own field, which is medicine. I admire your RARE, GREAT and Amazing mentality. Now, I feel that I am able to achieve what I always had in mind. That is to own a hospital. You are truly amazing and I am very PROUD of you. You made all of us Iranians even more proud of our origion. I congratulate to you to have that great experience. gustaria me to be able to see just like it dresses your from the space. A beautiful description you made of the events and your feelings during liftoff. When I was a kid I was also dreaming of traveling to space as I am sure a lot of the other commentators did. Is great that through your blog, you give us all the chance to see through your eyes this unique experience and share with you the fulfillment of you dream. You are an inspiration for us all. Reading your blog makes me feel like I’m up there too. It takes beautiful people to write beautifully about the beautiful experience of entering the high frontier, I suppose ? !!! Looking to the next one Anousheh…..
سلام انوشه جان .من يه دبير تارخ هستم عاشق ايران وعاشق همه افتخارات ايران به داريوش وكوروش مي نازم به ايران باستان وبه هر چيزي كه با ايران پيوند مي خوره .وحالا شما ! مطمئنم خك وطن به داشتن همچين فرزندي به خودش مي باله .وفكر كنم خيلي ها الان به ما به خاطر كاري كه شما كرديد حسودي مي كنن . بهتون افتخار مي كنم . تاريكي تنهايي واينكه هيچ كس پيشتون نيست نمي دونم در شما چه حسي رو به وجود اورده .من اين حس رو يه بار توي غار عليصدر پيدا كردم .تنها تاريك وسكوت محض .اميدوارم از فضا برگشتيد به ايران هم سري بزنيد .بهتون افتخار مي كنم وبراتون ارزوي موفقيت مي كنم .منتظر بازگشتتون به زمين هستم .اسم دخترم رو مي ذارم انوشه . Your blog is just absolutely beautiful. You are living the dream that I have had since I was 8 years old! I can’t imagine anything more exciting. Have a wonderful and safe time up there. انوشه جان شايد امريكايي ها رسم سوغات نداشته باشن .اما مي دوني ايراني ها دارن !!!!!!! ميشه برا من يه ستاره بچينيد ؟يه ستاره پر نور از اونها كه شبهاي تابستون رو پشت بوم خونه مي چيديم .دوستت دارم. .
Boa viagem! As you are up there, in the realm that most of us can only dream of, i must congratulate you for your efforts to make this dream of humanity in space available to everyone. It must be undescribable, to be able to watch our blue pearl on the dark oncean of the stars from orbit. Salaam, good luck, and be safe– all the best. It’s really unbelievable to know you’re up there.You finally did it…When I was reading your blog,I couldn’t stop crying.It is such an unusul experinece…You can truly see the earth turning around itself? How fast is it?We are all proud of you and proud of ourselves for being your friends.In our yahoo group,everybody is talking about you and Soheila actually had a wonderful live report on your lunch and landing.We hope you’ll be back safely .We will be thinking of you all the time.Boooooos. I hope you are aware that although people here back on earth is very happy for you, we’re also incredibly jealous. I hope that your dream of space being available for more people will come true, for it is also my dream. Your journey and your words on this blog is very inspiring, and provides encouragement for earth-bound people as myself. من هم مثل هر ایرانی بسیار با افتخار با این سفر و شخص شما یاد میکنم و امیدوارم که تمام انسانهای آگاه بتوانند تحولی در نگرش انسانهای دیگر بوجو آورند و این خود بسیار گرانبهاتر از هر هزینه دیگری است . کاری که شما کردید بیشتر به ایجاد خودباوری در من و بسیاری دیگر منجر شد . از شما تشکر میکنم و امیدوارم که همیشه لبخند بزنید. You really bring space down to us on earth and make us feel closer, specially here with this blog. We only have this planet. Let us all try and make it worth while living here. Doesn´t it look great from up there? Hope you have a real good time and come back safely! Thank you for sharing those moments with us. We all need to know more about the real things. I like it when you mentioned “no borders, no wars”. It is so calm out there when you look at the blue glowing earth and your only connection is your thought of beloved ones! Hi Anousheh and co! I must admit about what (Patrick) wrote in his blog. I cry as well when I read about your trip and I can’t believe you can be up there.. I wish you guys are having a blast even though it might be a tough time! I´d love to hear more about what u feel when u see it all.. It would be a great experience for everyone to be there as u say, but unfortunately we cannot. So do this for us 🙂 U are already making a great job. We will keep looking up at the sky (wave to us) haha. I hope all politicians in Iran read this and moreover, feel the real thing. The whole earth is just a spot in the whole universe, so it’s better to make it a better place for a peaceful life which is what the human being deserves it. salam khanoom . motmaenam ke kheili chiza in rooza shenidi na taban har anche az iraniha shemidi bar angizeh va ghovatetoon afzoodeh . jedaie az tamame eftekharati ke arzanie zanan va mardan in marzo boom kardid,baraie man jomlehei ke rooze aval dar peie arezooie movafaghiat az soie hamsaretoon ke be ishoon goftid besiar ziba va neshan az ghadr shenasie zane irani dasht” bedoone to man hargez inja naboodam”. kash hame ma mifahmidim ke piroozie ma dar geroie movafaghiate digar ensanha va behroozie anan dar geroie movafaghiate mast. be onvane ye rooznameh negar irani baratoon arezeoie movafaghiathaie bishtar daram. After reading this post I must say thanks. In my dreams I see myself as you describe. My heart is full and I wish that I could share my feelings and this experience with anyone who would accept them. This is my third comment. I am following your mission on the computer and local televison.I’ve just read your last on launch to orbit, and it is all very exciting. I hope one day there will be a seat available on every Shuttle flight for writers, artists, photographers, business people etc; who after the flight, would travel the world to tell us about their amazing experiance. I hope you come to New Zealand and talk to us here at Otago University.The shuttle landing is always very exciting, but to see Atlantis re-enter from space is the icing on the cake. I hope to see the video taken from the ISS. I am still in awe about your once-in-a-lifetime experience! I think it’s very exciting! What you have written touched my heart and has given me renewed inspiration, that there’s no limit in what you can achieve. I’m keeping track of your travel and I’m sure you are having a lovely time! Your life story (already so young) is the kind of inspiration that we all need to hear and celebrate around the world! I am proud of you as a role model in many ways to many people for lots of admirable reasons. You are truly an extreme example of the American dream and of hope for global peace and prosperity! You are among a very small hand full of people who have done more than anyone else in the world ever so far to forward private space access. Congratulations on achieving your dream and finding a big place in history! Thank you even more for also contributing to help the rest of us hope to realize this dream in our lifetimes! درود بر همدلان ِهمزبان از جمله کسی که ما را گرد هم آورد یعنی انوشه ی انصاری و البته شوهرش و دیگر کسانی که پشتیبان اش بوده اند. ترجمه ی پارسی ِ بخش پایانی ِ پیام او را می توانید روی لینک زیر بخوانید. نظر ام را همانجا گفته ام. Way to go, Anousheh! What an uplifting experience (no pun intended) not just for you but for the rest of us down on Earth. You make us proud. As I mentioned in my last comment, we watched your pas over Tehran at 5:13 am this morning. It was the first time I watched such a tantalizing pass of ISS, and I couldn’t stop my giggling while you rose as a bright star in the sky, and we followed you till you set at 5:20 am in North-East horizon of Tehran! I’m not a fan fever of sky, and I don’t wake up in the morning that soon regularly, but if it’s you, and the obsession stimulated by your journey, why not kiss goodbye the bed only for witnessing this 7-minute historic moment! Our hearts are attached to your wings. Tears, shivers, and golden glory fueled my heart as I read, like so many, your beautiful recounting of your illuminating trip. Since I was a little girl, I always asked my mom why the world is not one and why humanity does not see that we are all diverse flowers of one garden. It always baffled me and hurt my heart that we do not all embrace each other. I thank you as a human being for expressing the utmost love and respect for our planet in a way so few of us will ever see but through you, we can feel this permeating energy that you have set forth into action. May it heal the planet. If I were you , everytime , everyday and every second pray the God . pray the God for his kind . pray him cause he help me to acheive my dreams . I am a communication-engineering student in Polytechnic of Tehran . I’m proud of you . I have hung your picture in my room . everytime I see you , I’m sure as you said we could imagin , be the change and then inspire . but here in Iran the price of imagining is too high and there is not any window to inspire . you can say that again … but I am just 20 years old . a young boy with big dreams . let me hope for the best . you could see me everytime you cry , I am one of your tears who is small with big ambitions . Wishing you all the best of luck and take care! Ramadhan Mubarak! best regard….i wish u a warm and happy fliying…. Dear Anousheh, congratulation ! we Iranian girls are proud of you . خانم انوشه ی انصاری عزیز خوشحال می شم نظرتونو در مورد این ترانه که با همه ی احساسم براتون نوشتم بدونم. Sitting down in North of Sweden, my lap top on my legs, thinking about you while you are in space, checking out your pictures and clips, and reading your blog. That’s great! You shared your feeling with all people on the Earth, and now for me is like being with you during your dreamy experienced. I was reading your blog; the launching moment was great as I was reading. 1, 2, 3,.. and you left the earth with a heart full of love, loving God for all that you have in your life and loving Hamid, your beloved man. My heart was beating faster when I was reading those moments. And you know something, when you were leaving the earth you, you were joining history. History of aspiration of human beings and of your home country. How beautiful is the day that the dreams and wishes come true. I am sure that you were pumping energy for successful life to people all over the world when you were watching the earth for the first time. And now Anousheh, you know that there a tradition, especially among Iranians, that when we travel, we suppose to bring back souvenirs to our home. So when you are coming back to your home, Earth, don’t forget to bring PEACE with yourself to this planet as your souvenir. After completing your space mission, you may choose to have a new mission on the Earth. You can take a Peace mission to make this earth as beautiful as you have seen from above. Without any border and full of love. We are with you Anousheh and wish you enjoyable and great time in the Space. We are with your family too, and if they are reading this, I wish they don’t miss you. We are like a big family on the earth; all people all round the world together, apart from their nation. Have you heard about the big Bigelow anouncement from the other day? I suggest you check the space news sites as it is big and very good news! در اين راستا تمام اخبار و تصاوير مربوط به خانم انوشه انصاری در اين رسانه به طور مقتضي پوشش داده شده. منتظر ديدن شما در زمين و شنيدن اخبار شما از فضا هستيم. You are an valiant and beautiful iranan woman, as much in your country, maybe your example contribute to show some people there, this is 21 century, where de woman of world is free , there’s no limits in their develop. Salute from the other side of planet , the republic of Panama, in Central America. You made me shed a tear. I’ll never go to space, but you giggle once or twice for all of us down here. Wow, I could imagine the whole scene while you wrote this blogpost. It sounds so great. I wish I could fly one day too. Congrats for reaching the ISS safely and have a safe journey back. The world is proud of you. Thank you for your open mind!!!! You are a true citizen of the world!!!! You are one of the few people that mention faith and science in one sentence, and I find it soooo cool that you share the same opinion I’ve had since I was a little girl – Pack’em (world leaders) all in a shuttle and send them up in space for some real objectivity :o) It feels like a piece of me got to experience space through you, thanks to your words!!!! Enjoy and take all the mental images you can possibly take. Anouseh, glad to read that u made it safe to ISS, best wishes on your adaptation to LEO. I especially like your descriptions of space travel from a normal person’s perspective. Go with the best wishes of my family and me. Good luck to the whole crew, but especialy to you. You fullfill mankinds dream. Show us a world without borders. We are all so proud of you, you are an inspiration for everyone, especially for Iranian women! We badly need more role models like you. Enjoy yourself, and have a safe trip back. چون از ميان اين همه آدم پولدار كه روي كره زمين زدگي ميكنن شما شهامت رفتن به اين سفر روداشتين و اين كار روانجام دادين. چون اين تجربه رو دارين با نوشتن وبلاگ با بقيه قسمت ميكنين واين ارتباط دو طرفه هستش. دعا ميكنم واميدوارم كه سفر خيلي خوبي در پيش داشته باشين. جاي ما رو اونجا خالي كنين. تهران – ايران – كره زمين. hey.it’s amazing, i wish icould do such a thing!!!! i am also iranian but as much as you are rich i am poor!!!!! funny !!! !anyway please inform us how and what you eat up there, and how you use tilet??? you know i am wondering is your urine just float in the air???? wish you a great time as i know there is no need to wish , you already have. وبا آرزوی سلامتی برای شما و همسفرانتان. Hope to see you in Iran and Hope to have peace in all of the world. Have great and productive trip , Anoosheh jan, the whole world proud of you, especially Iranian & especially myself.I don’t know , you have the possibility of checking your blog there, but let your fans have some nice photos from orbit, if it’s possible. hope to have great & nice landing. alan ke daram in mail ro baratoon mifrestam shoma dar faza hastid va vaghean baratoon arezoye salamati mikonam. anoushe khanom shoma vaghean baese eftekhar hastin va man ke ye pesare 29 saleye irani hastam vaghean be khanomi mesle shoma ke irani ham hastin eftekhar mikonam. khanome ansari shoma vaghean sabet kardid ke ensan harchizi ke bekhad hatman behesh mirese faghat bayad talash kone. dar har sorat kheily khoshhalam ke shoma in eftekhar ro baraye hameye ma iraniha kharidid va kheily kheily azatoon mamnonam. بابا تو دیگه کی هستی ؟! I’ll try to be successful like you (and some others) in the Earth and also sky!! Oohhh, If you manage to read my post try your best to broadcast a message of wisdom via ISS downlinks, that would promote unity and tolerance between people! how much cust to return to earth for you now? good luck ,have a nice experience . Have a safe return and good luck to all crew. You are an inspiration, I am an Iranian woman and an engineer myself and I just want to let you know how proud we are with your accomplishments. I was just talking to my 11 years old daughter and was telling her not to underestimate the will power to succeed in females. I also really admire you for promoting “Peace Message”, you are my hero. I am sure we are going to see many more success in your path. Hi Anousheh, been whatching NASA TV, and reading your blog. What an amazing experience you are having. It makes me feel very happy to see you living your dream. I wish I could also experience space travel oneday. Something that amazed about your blog, was when you told us about the hatch being opened and that space had a cooking smell to it – I’d never even thought of space having a smell before. Tes mots sont très touchants et forment un message de paix dans ce monde où l’on tend trop souvent à marquer nos différences au détriment de ce qui nous unit. Thank you so much Anousheh for sharing all of this with, it has always been my dream to go into space and I hope that one day I will be able to do so, but until then I will feel how it feels through your writings. Congrats on doing what you are doing. I think that it is a grand thing that you are up there. I am very much proud and happy that you are the first female as well as Iranian-origin space tourist. It is also my glorious dream from my childhood to actually travel in space sometime. Your flight to space contains in itself very deep points that I hope that will be taken into account by all the humanity in general and by the Iranians in particular. I believe that your movement will be a turing point as well as a mile-stone that will remain forever. I wish you the best in space, and a safe and happy return to our planet Earth and bringing the message of optimism, wisdom, philanthropy to all humanity. Salam Anousheh jan, thank you so much for taking the time and writing these notes about your fantastic experience.As an Iranian woman, you have made us so proud, Great job dear. We pray for you and LA and Misha’s safe return to earth. And Anousheh jan, don’t forget Iran, it needs us all. love you and God bless all three of you. Merci de partager ces moments fabuleux avec nous ! C’est incroyable comme on a l’impression d’etre dans la station avec toi lorsque tu decris ton quotidien. MERCI BEAUCOUP POUR CE MAGNIFIQUE BLOG ! Embrassez bien fort le Ciel pour pour moi, sur les deux étoiles, qu’il vous protège et vous comble de ses Grâces! Anousheh jan, my first wish is for you and LA and Misha to come back safe and sound to the earth. It is so good of you to write a diary(sort of ) and to send it while you propbalby are very busy up there. As an Iranian woman I cannot tell you how proud I feel to have a beatiful and brave compatriote like you, with such will power and acting so serene and down to earth and always smiling. I truely love and respect you and wish you more success, you deserve it. Your success brings tears to my eyes realizing what our women are capable of and on the other hand how they are being treated at home. I hope you use your well deserved fame for promoting justice in our land and I hope you become one of the advocates of freedom in Iran, our beloved country of origin. I love you and wish you a safe come back. امیدوارم که حالتون خووب باشه ! افتخار می کنم که شما ، یکی از هموطنان من به عنوان اولین فضانورد ایرانی توانستید رویای خود را محقق سازید. خوشحال میشم یک ایمیل ازتون داشته باشم! ان شاءالله که به سلامت به زمین بازگردید. Salaam and many many congratulations for your achievments. Hope your are having great time ( ofcourse you are ) and hope you have a safe return home. We are following your jurney thrigh the Nasa tv everyday and having great deal of pride for the fact of having a hometowner as a participant in the such a big event. We are looking forward to see or hear more of you in the future in different space programs. Have a great time and wish you happiness. I can not understand how “tears ran down my face” can happen in your zero gravity environment. tell me about the Moon please. tell me about the milky way some more please. please write more and more. i hope you are fine and you know when you described the clouds and used (panbeh zan) as metaphor, i could hear the sound of that “bow” 🙂 wish you best and god bless you and your friends up there. thanks for the Blog. Thank you for sharing your thoughts and your dreams with us. The ‘Hello World’ reminds when I was writting my first programm at the university, but know it has a complete new meaning to me. You are truly a unique and a great lady. I am so proud of you. Keep up the blogs and have a safe journey home. Vagty avalin bar khabare safare shoma ro be faza shenidam, rastesh khyly ehsase khoby nadashtam. fekr mikardam hazine kardane inhame pol toye shrayety ke inhame badbakhty va felakat dar donya vojod dare ,chyzy geyr az yek majrajoee va yek safare tabligatye porhazine braye magasede tejary nist.emroz toye ye site Irany neveshtehato az faza khondam…bram jaleb bod.harfhat dar morede rishe yaby va komak braye halle rishehaye fagr ve gorosnegy be delan neshast.man pezashkam salha toye Iran tebabat kardam va ba dard va ranje mardom az nazdik ashna hastam,manam bavar daram ke ba sir krdan chand hezar nafar moshkele gorosnegy hal nemishe ,be onvane ye tabib manam bavar daram ke bayad donbale rishe yaby va rishe kanye moshkel bod.khodam ba hamin bavar omadam USA,bad az salha kar domartabe daneshjo shodam be in omid ke ba bishtar donestan betonam komake bishtary basham braye bimarany ke ba omide darman be tabib morajee mikonan.be har hal hrfhat be delam neshast…nemidonam chera khastam inha ro brat benevisam ..shayad be in khater ke dar morede to ye jore dige fekr mikardam.ehsas kardam ye jor sadagat toye hrfhat hast.omidvaram dorost hads zade basham.omidvaram to sadegane gofte bashy ke mikhay ba in safar rahy ro braye peyda kardane ofoghaye taze braye halle moshkelat ensanha agaz kony. in khobe ke pol dashte bashy,eshkaly ham nadare ke khyly zyad dashte bashy ,eshkaly ham nadare ke on ro har jor ke mikhay kharj kony agar vagean tahe delet…toye omge vojodet ehsas kony ke hadafe aslit ine ke braye mardome donya mofid bashy,be heshon komak kony va donya ro ye gadam iz in nekbaty ke hast dortar bebary..hata age ba in safar bishtar pol besazy,in ham be khodye khod eshkaly nadare ,fagat ye negah be omge vojodet ..be delet bendaz.to ye dokhtar irinye ba ehsasy.. in ro motmaenam.ingadr on jomleye HAMID DOSET DARAM gabl az partab ziba bod va por az ehsas ke yaginan neshon mide to nemitony kamelan mesle pol darhaye by vejdane khodkhahy bashy ke hazeran hame chiz ro gorbany konan ta bishtar va bishtar pool dashte bashan.omidvaram in bar dar morede to eshtebah nakarde basham.omidvaram vgean be on che ke gofty vafadr bemony va on tashkiklate tejary ke hazyneye in safar ro dade be jory hedayat kony ke be in hadafe bozarg…komak be ensanha az har nejad va majhab va melliat …nazdik beshe. az on bala behter mitony bebiny ke donya che gadr kochike,agar zendegytoye in donya arzeshy dshte bashe fagat bra ine ye to betony yek labkhand bar labane yek drdmande by panah benshony. to in rah ro entekhab kardy , omidvaram ke dorost entekhab karde bashy , va omidvaram betony rasty rasty ony bashy ke dar morede khodet neveshty. khyly por chonegy kardam.midonam ingadr gereftary ke shayad narasy in harfh ro bekhony ,ama be har hal shayad ye zamany in forsat pyda shod. Heartiest congratulations on your courageous journey beyond this World. Wish you all the best and safe journey back home. Our kids located in India, London and Melbourne join us in wishing your family members all the best. Sneh and O. P. Rihani from New Delhi. انوشه عزیز من کیاندخت دختر مهری صدارتی هستم و همچون میلیونها ایرانی مشتاق با چشمانی باز و قلبی پر از عشق در انتظار بازگشت پیروزمندانه و پر افتخار تو هستم .امیدوارم همواره شادی و شادکامی قرین زندگی پر مهر خانواده محترم و موفق تو باشد. Pleasant journey back home,so proud of you,and your participation in the X prize,SpaceOne,hope you team up with Virgin Galactica. Wish you all the best. You are certainly an inspiration to a lot of people out there. I have read your blog entries and your vivid decription of space sounds juts perfect. Hope you write a book about your personal experience soon. What i have read EVERYONE in the world is very proud of what you have done. so peaceful…so full of life… no signs of war, no signs of borders, no signs of trouble, just pure beauty. people do experience this, l have myself and lm still very young. l experience when l looked into someones eyes. everything else was forgotten and l was in my own world. l wouldnt give her up for anything, just to be with her is priceless. salam khanome anoshe.man az iran mozahemeton misham bebakhshid,be shoma tabrik migam,kareton kheili bozorg bod,omidvaram movafagh bashid,az on bala vaghti makhloghate khodaro mibinid vasamon doa konid,hatman khoda shoma ro kheili dost dare,hamishe salamat bashid,be omide didar va be omide khoda,ya ali madad. هرجملشو كه ميخوندم يه حسي تمام وجودمو فرا مي گرفت. Dear Anousheh, I love your description of Earth,,, peaceful, full of live, no borders,,,no war, just beauty. Eres admirable y felicidades, te desamos lo mejor! well Anousheh, it looks likes you’ve felt your first weightlesness, and i personally think there is nothing more fun than to feel weightless in space. of course i did too…. but in a falling airplane 🙂 (too bad i failed that test, or i would have been a space tourist too 😦 o well…looks like you’ll be having fun up ontop of the world! Thanks so much for sharing your experience in space. A lot of people envy you by now for taking this extra ordinary trip only a few people can afford. As I was reading your piece, I felt that I was the fourth person in that capsule flying with rest of you. I hope everyone on earth will be able to read all the things you wrote and hope that they treasure and how beautiful our planet is and that. No one, no country will ever think of destroying it one day. May the things you wrote bring peace to all mankind. Congratulations! May God Be always with You! how is different from living on earth one day? attract Iranin women to leave their country and come to the west? I have 2 daughters and after reading of your experience, you have reminded me that anything is possible with hard work, positive outlook and good will. All I really have to say Is WOW! Very VIVID PICTURE. Thanks. Awesome! Thank you Anousheh for sharing your experience of the reality of our Earth; united and whole even if all of us are not. Keep spreading the true vision of our planet so we can speed up that day when all humanity is united and one family. You really and truly have made history. You will be in the history books of many young children for decades to come. The world is so proud of you. You are putting all Iranian men to shame. I’ve heard about your story like 2 or 3 months ago, and I thought you are going to space next year (2007). Anyways, your story inspired me, I QUIT LAW SCHOOL after 4 days, and now I am enrolled in an Aviation Mechanic program at West LA college. Best of Luck with your fututre endevors Miss Manousheh. Very well-narrated & assiduously blogged–that too from outer-space! I don’t think if any astronaut has ever blogged his/her experience in space the way you have done-Anousheh! من یک دختر ایرانی هستم میخواستم بگم بهت افتخار میکنیم وخوشحالیم که سلامت به خونه برگشتی. همه بهت افتخار می کنیم،به امید روزی که زمینان هم با به یاد اوردن فرمانروای هستی دوباره ارامش همچون ارامش فضا را تجربه کنند. congratulations! you are such an inspiration to women all over the world! we are sooooooo proud of you! the blog was so insightful and i absolutely agree w/you when it comes to our “world leaders” needing to see what you have seen. (ie-the earth w/out borders) a view from space should be a prerequisite for any person who is elected to lead a country. YOU DID IT!!!!! be proud! i have come to late to wish you away from our bubble..but just in time to thank you for your experience that you have shared not just for yourself..but for many.i was just going to check my email when your story caught my eye…it is 8 o clock in the morning here in california and i can only imagine how the hours must have passed while in the outside world of ours..it so foreign to people like me…but our dreams are all viewed throught the same pair of eager eyes to embrace what you have now called a memory. i can only hope that people like me can achieve the same dream you excitedly fell asleep to at night before your rendezvous…but your dreams became your reality and now this trip will forever remain in your heart. i am in total admiration of your giggles and big heart for the pure joy you recieved from really seeing the BIG PICTURE for humanity. continue to love and laugh often. yesterday i submitted my feelings here. i feel proud of your action as an even all over the world.nobody in iran has ever done yet!. i shame myself due to our gov. tack no care !?????? bishtar inke khanom hasti va irani,kari kardi ke khanoma ke hich marda ham joratesho nadaran.in be ma omid va govate galb mide baraye inke khodemono bavar konim.chizi ke behesh niaz darim. jaleb bood ke salha in aarezoro dashti va jalebtar inke behesh residi,shayad azat yad begirim ke arezohaye bozorg dashte bashim. va yad begirim mardomi bashim ke betonim hamdigaro tahamol konim va be ham ehteram bezarim.omidvaram hamishe movafag bashi va ma behet eftekhar konim. I was amused and amazed by reading your blog entries all along. Thanks so much for considering us, the creatures on the small beautiful planet you saw from above on your trip. I saw your link on Yahoo! Front Page and it said you also now hold the title of being the ‘First Person to Blog from Outer Space’!!!! Wow, Congradulations Again!!! And I believe this should be the first blog ever sent from outer space as well, it was a delight to read it. Please do continue to tell us of what you are engaged in now that you’ve safely landed as you inspired many people on this beautiful earth globe of ours. che zibast ehsase ghoror,didane parchame iran dar faza. mesle dafe ghabl 2bare miporsam(khoda ro didid? do you see Allah?where was the God? چندمین باره که براتون می نویسم.آنقدر می نویسم تا شاید یه نیم نگاهی به نوشته هام بندازید. Goodbye from here World — this comments section is now closed — go forward into the future.